Travel and documentary photography taken in the Caribbean islands of Saint Kitts & Nevis. Carnival season was in full force. These small, third world islands maintain their annual traditions religiously, hosting festivals that Notting Hill would be envious of. Despite the enthusiastic charade of carnival season, tensions are high. Oppositions collide as gang territory becomes blurred in what has been confirmed as the capital city with the highest murder rate in the world (131.6 per 100,000 inhabitants). 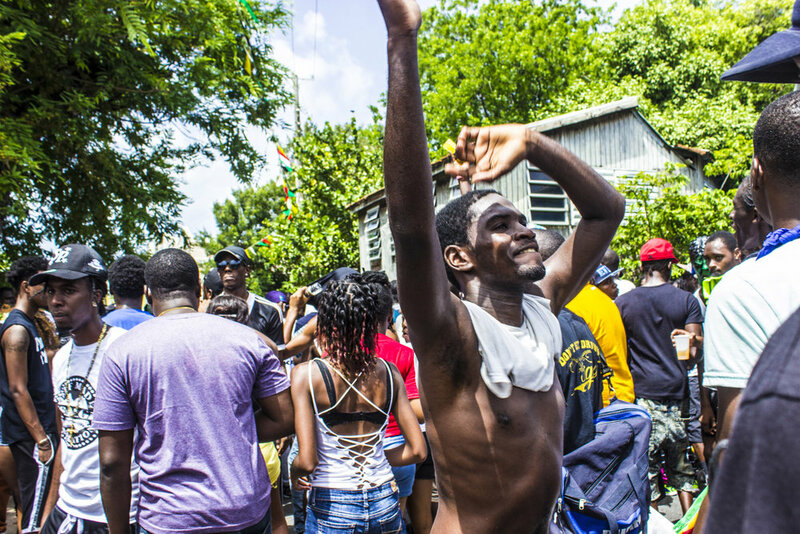 Contrary to the shocking statistics, Nevisians and Kittitians seemed unconcerned with risks of being caught in the crossfire, and fully immersed in the festival. These photographs document two different events - the annual Carnival Parade and J'ouvert - hosted by Nevis' 'Culturama' festival.